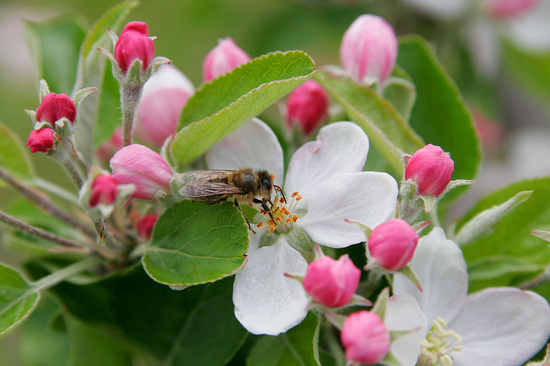 We strongly believe in working in harmony with nature and with our bees. After all, they have been around for millions of years, and we can learn a lot from their efficient ways of working! 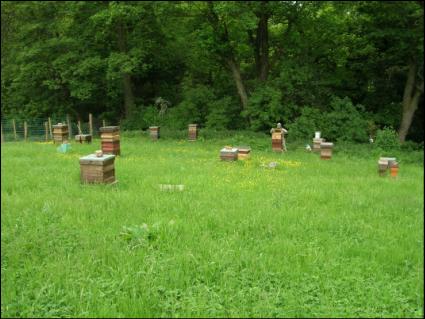 We are very lucky to be surrounded by beautiful countryside, and have around 100 hives which are sited in different locations around the local area. This provides a diverse range of flora for our bees to forage on at different times of the year. We don’t believe in moving our bees around to follow particular crops to increase honey production, as we feel that this puts stress on the bees and is detrimental to their wellbeing. We do take some of our hives up to the moors for a few weeks each year to enable them to make heather honey – we couldn’t leave them up there all year as there wouldn’t be enough forage for them to live on all year round. Bees can fly up to about 3 miles collecting nectar and pollen, and as our bees are in different locations, the nectar and pollen that they collect comes from different types of flowers, plants and trees, which results in the honey produced at each site being unique to that site. If we are very lucky with the weather, we can hope that each hive will be able to produce a crop of honey in spring, summer and autumn. 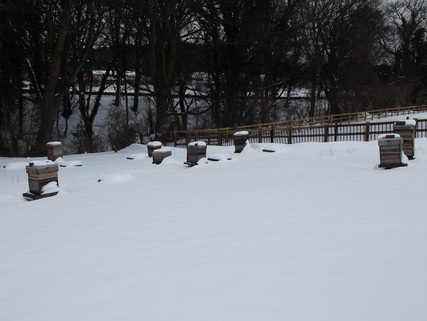 Obviously this hasn’t always been possible in recent years due to the weird weather, but we always make sure that we leave plenty of honey on the hives for our bees to live on throughout the whole year.